As you may know, I am a very proud dog mum. Yes, I said it, My dogs are my babies. I get asked a lot about how I holiday with our dogs. 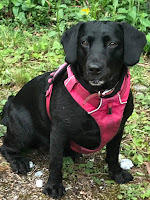 I love travelling and I love my dogs, so this goes without saying we try to take them on holidays as much as we can. We are looking to take a trip to Suffolk soon. 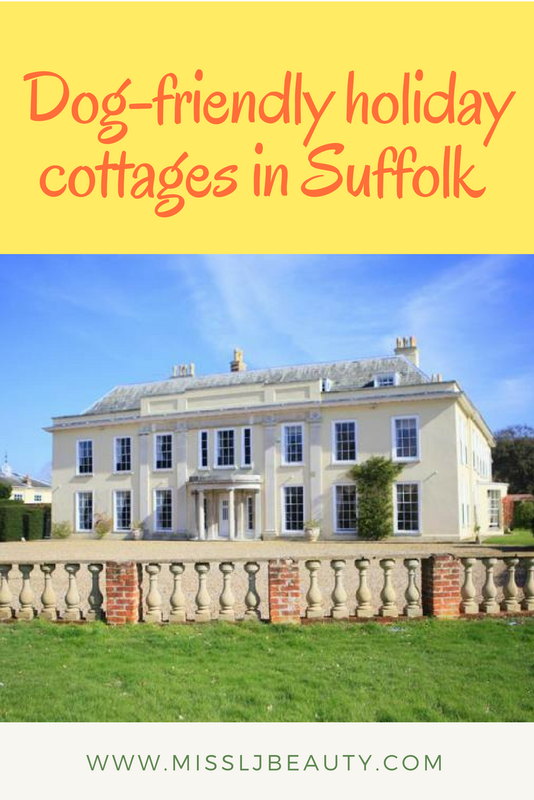 So I thought I would show you my top picks for holiday accommodation in Suffolk. 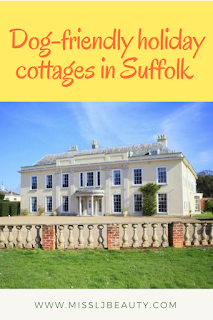 We use suffolkcottageholidays.com, They have over 100 properties where dogs go free! Now if you travel with dogs, you will know this is unheard off. I know that we have paid up to £25 per dog per night in the past. I always think this charge is crazy as our dogs are well behaved and I tidy up after them. It is a breath of fresh air that Suffolk cottage holidays have removed the charge associated with holidaying with your dog. I honestly can not see why dog lovers would go anywhere else. This is a fantastic policy. 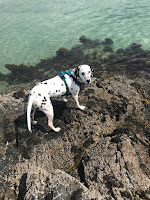 Completely unrelated but Suffolk cottage holiday's model dog is a Dalmatian. Come on, I know I am biased but you had me at that! Click the link and you will see what I mean! Let me introduce you to my two dogs. Millie is a 6-year-old Springador. She likes the finer things in life, she is quite partial to a 4 or 5-star hotel. If she was human she would be Duchess of somewhere. 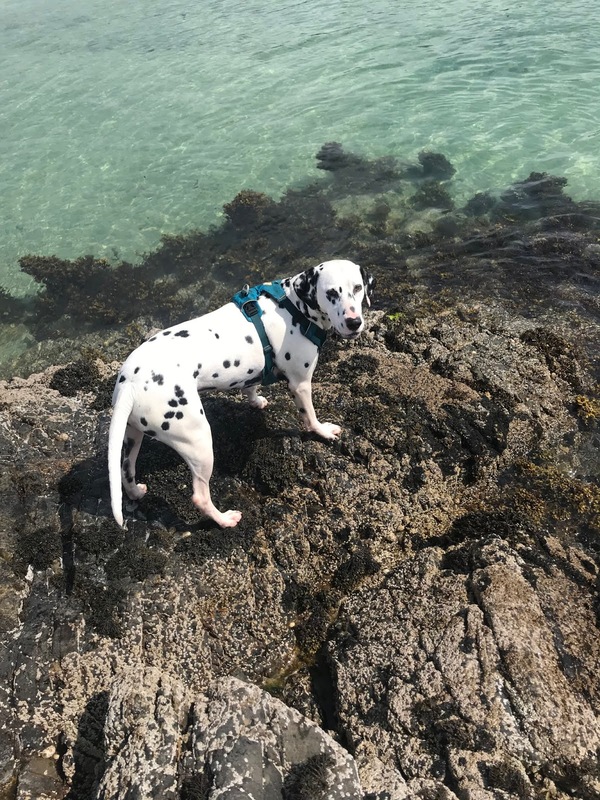 Mylo is a 4-year-old dalmatian. He likes to go mountain biking with us. He thinks heaven is running alongside the bikes. He can sleep anywhere and just loves life. So as you can see we have a lot to live up to when choosing a holiday cottage, To keep both pups happy. full kitchen- for meals and baby equipment. Lots of outdoor space for baby and dogs to play. nearby walks or bike rides. This ticks all my boxes and more, It's a semi-detached traditional cottage. Which if you know me I love a traditional English cottage. Being from the Highlands. I just love anything quaint and English. My husband is from outside windsor. Three bedrooms meaning the little one can have his own space. Which is always nicer for him. A fully loaded kitchen with all the mod cons. Looks stunning and full of character. Bramble has is a lovely outside BBQ and dinning area. This one is out of this world. A stunning Victorian threshing barn convert. Not only is the interior divine. Did I mention there is a heated outdoor pool? This has 4 bedrooms. I could invite our other friends to come and join us for the week too. which would be nice. This has more space than we would know what to do with. The pool is a huge advantage but I am wondering how we would keep our dogs out of it. They both love to swim. This would be an awesome choice. Again it has all the mod-cons and plenty of room for BBQ and picnics. I think this would be Mylo's pick as on the site it says there are great bike rides nearby. Ok, OK this is what dreams are made of. This is the creme de la creme in holiday cottages, In my opinion, a stunning property. This Georgian mansion can sleep up to 21 in 11 bedrooms. When I found this I had to add it into this list. It is beyond words stunning, Perfect for a family getaway or an intimate wedding. Worlingham Hall has a tennis court, trout lake, stables and heated outdoor swimming pool. You wouldn't need to leave the grounds as there is so much to do on the property. Plus you are completely secluded. Did I mention it sits on 100 acres? You can organize a private chef or how about days shooting? Whatever you want the owners can make it happen for you. I could go on and on about this one but why not go look for yourself. I promise you will want to visit this one. I think this would be the one Millie would pick for sure. She does like a bit of luxury. As you can probably guess, My husband might kill me if I book number three for the five of us. But I really think this would make an ideal location for a family gathering.